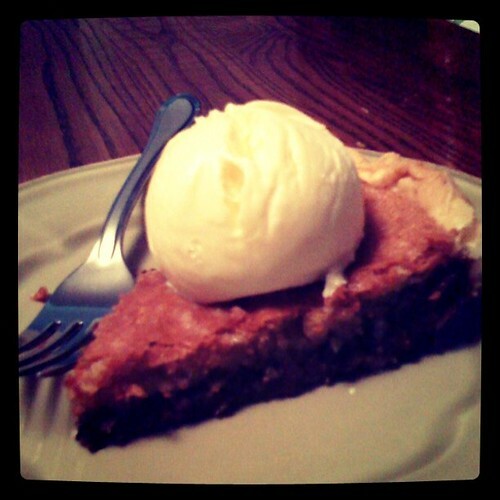 Chocolate Chip Cookie Pie. You must make it. I can't believe I never knew such a pie existed before now. In other news, the blog is getting neglected this week. I'm in charge of putting together our new school website and it goes live on Thursday. Tomorrow I have my first formal observation by my principal. I basically have no life right now. On top of that, I literally turned every drawer in the house upside-down two or three times tonight trying to find something. Sometimes I feel like I have the brain of a hamster when I start looking for a lost item. I honestly cannot function or focus on anything else until the object is found. Tonight's object remains in hiding. Instead of lying awake all night worrying about tomorrow's observation, I'll be mentally going through every drawer, closet, and rubbermaid in the house. Pie looks delish! Hope you have found your MIA object. Is Ethan helping? Haha no... he thinks I've lost my mind.